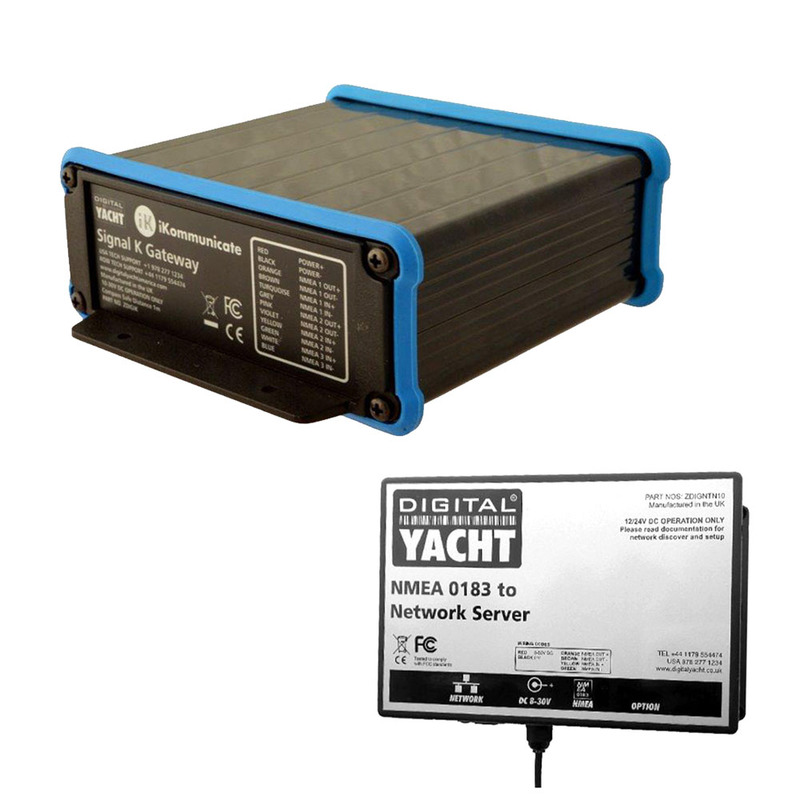 Digital Yacht’s NMEA Interfacing products provide smart and cost effective solutions for connecting dedicated marine electronics to the latest consumer devices such as smart phones, laptops and tablets. Both traditional wired and the latest wireless interfaces are available allowing you to easily transfer NMEA data to your mobile device. 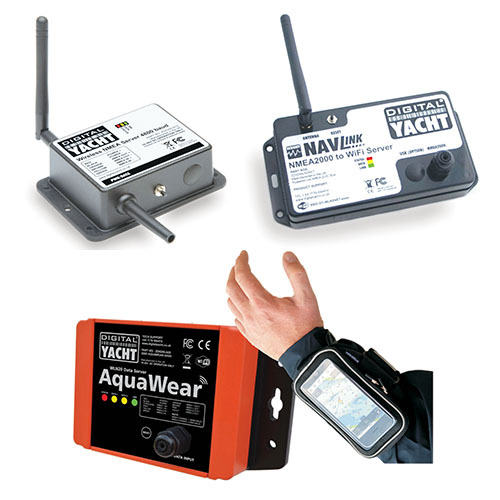 Whether you are an iPhone/iPad, Android, PC or Mac user, wireless (or wired) interfacing can now be simply added to your existing navigation system with the addition or one of Digital Yacht’s smart little devices. NMEA is the National Marine Electronics Association (NMEA) is a US-based marine electronics trade organisation setting standards of communication between marine electronics. There are currently two main standards: NMEA0183 and NMEA2000. We’ve also created NMEA gateways to multiplex the NMEA data or to connect and convert the NMEA data to an ethernet network, USB or even the new innovative standard called Signal K.
All our NMEA to Wi-Fi adaptor products to send the boat data (NMEA) to the tablets, PCs and smartphones. All our NMEA interfaces products such as the NMEA-Signal K gateway or the NMEA-Ethernet gateway.